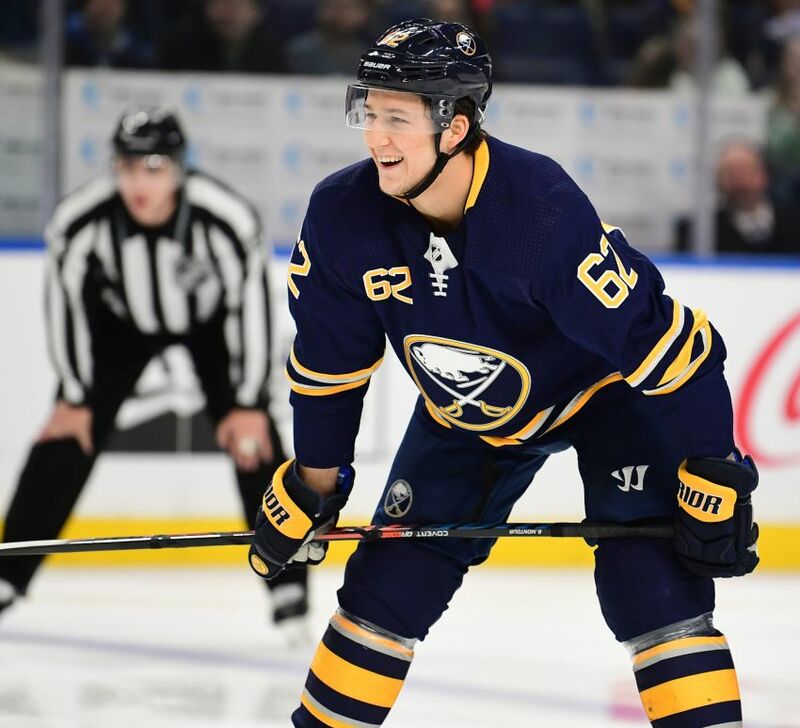 “I got kind of caught with how they want me to play, specific areas where I was just a player on the team,” Montour said Thursday inside KeyBank Center. Montour, of course, loves having the green light to freewheel with the Sabres. The UMass product regularly joins the rush, adding another wave to the offensive attack. The Sabres want Montour, 24, to be one of their top guns. That’s why they paid such a hefty price – defense prospect Brendan Guhle and a first-round pick – to pry him from the Ducks on Feb. 24. “Here, I have that freeness to use my strengths,” said Montour, who will likely play beside rookie Rasmus Dahlin again Saturday versus the Montreal Canadiens, the start of a three-game road trip. Through 11 outings with the Sabres, Montour has scored two goals and six points. While it’s a small sample size, that’s a 15-goal, 45-point pace over a full season. Those numbers are huge benchmarks for defensemen. Overall, Montour has scored seven goals, 31 points and a minus-17 rating in 73 games this season. Rodrigues said in Wednesday’s 4-2 loss to Toronto, one of the Maple Leafs chipped the puck by Montour to create a two-on-one before he raced back to stymie it. “With his skating ability, he gets back, turns it into a two-on-two,” Rodrigues said. “They control the game back there,” Housley said. So far, Montour feels comfortable with the Sabres and good about what he has accomplished. Well, other than not winning enough games. The Sabres are 2-7-2 with Montour. They haven’t won a game in regulation with him yet. “That’s obviously a tough issue,” he said of the losing. Having spent most of the season in Anaheim, one of the NHL’s bottom-feeders, Montour has endured a lot of losing over the past six months. Not surprisingly, Montour said this has been the toughest season of his career. He made the playoffs his first two years, playing 17 games as the Ducks reached the Western Conference final in 2017. The Ducks were 24-29-9 when they traded him, meaning his teams have lost 64 percent of their games this season (26-36-11). Those lows can be rough. Montour said managing emotions as a team has been the most difficult part of the season.